Beautiful Blooms by Jen proudly serves Sylvania, Toledo and surrounding areas. Beautiful Blooms by Jen is a contemporary, every day florist providing our daily customers with the freshest, most unique floral arrangements; which our wedding customers have been experiencing for years. Our goal is to bring Northwest Ohio the latest trends and techniques so you can be proud of what you have sent to your friends and loved ones. Our constant strive to broaden our education and challenge ourselves ensures that our arrangements are up to date, exciting, and will surely be the focal point of any home or office. We understand that funeral planning sometimes happens after hours. Please contact us with your name, phone number, and how we can help you at beautifulbloomsbyjen@yahoo.com if you would like to speak with us about all your sympathy flower needs after business hours, Jen will call you back as soon as she is able. Let Beautiful Blooms by Jen be your first choice for flowers. Learn more about Beautiful Blooms by Jen on our blog! *Our shop is open from 9:30 a.m. to 5:30 p.m., Monday through Friday and from 10:00 a.m. to 2:00 p.m. on Saturday. We are available for wedding or funeral consultations other hours if necessary. To help assure on-time delivery during the busy holiday season, place your order at least 1 day prior to the following major holidays: Thanksgiving Day, Christmas Day, New Year's Day, Valentine's Day, Easter, Administrative Professionals Week, Mother's Day, Memorial Day, Father's Day, Independence Day and Labor Day. Our shop will always be closed on the following holidays: Thanksgiving Day, Christmas Day, New Year's Day, Easter, Memorial Day, Independence Day and Labor Day. Our commitment to you is 100% satisfaction on all your floral and gift purchases. If you are not completely satisfied, let us know by calling (419) 517-8821. 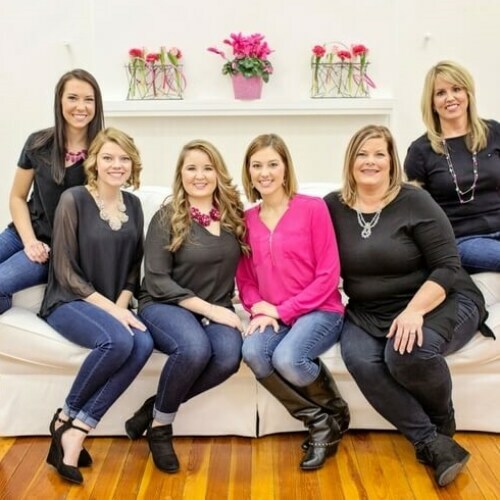 If you have any questions or need more information, please contact us directly at our downtown Sylvania location, 419-517-8821, or email us at jen@beautifulbloomsbyjen.com. We're always here to serve you and make your flower-sending experience a pleasure. We understand that funeral planning sometimes happens after hours. Please contact us with your name, phone number, and how we can help you at jen@beautifulbloomsbyjen.com. If you would like to speak with us directly about all your sympathy flower needs after business hours, Jen will call you back as soon as she is able. Our shop serves the following areas: Toledo, Sylvania, Ottawa Hills, Maumee, Perrysburg, Rossford, Holland, Swanton, Whitehouse, Oregon, and Monclova in Ohio and Temperance, Petersburg, Ottawa Lake, and Lambertville in Michigan. We also service the following zip codes. We understand that funeral planning sometimes happens after hours. Please contact us with your name, phone number, and how we can help you at beautifulbloomsbyjen@yahoo.com. If you would like to speak with us directly about all your sympathy flower needs after business hours, Jen will call you back as soon as she is able. We will do our best to accommodate deliveries at specific times of day, but we cannot guarantee it. Specially timed deliveries will be charged a $15.00 delivery fee. We are unable to make deliveries on Sundays unless for a funeral and it is order by Saturday at noon. Deliveries requested on this day will be delivered the following business day.